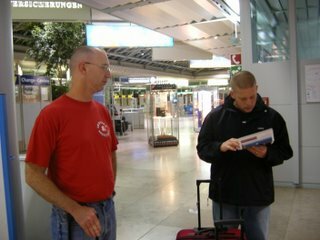 I just got a call from him, and he arrived safely in the states. I get to see him on Wednesday. Yay. I just LOVE that those two became good friends. It makes me smile every time I think about it.